G Suite Utilities reviews by real, verified users. Find unbiased ratings on user satisfaction, features, and price based on the most reviews available anywhere. Folder notifications for Google Drive for G Suite notifies users of changes in a Google Drive folder by email for any files. Zapier for G Suite integrates Google Apps products like Gmail, Sheets, Forms, Calendar, Contacts, Docs, Drive and Tasks with other apps. Google Apps Backup Service for G Suite is designed to protects all of an organizations Google Apps data from expensive and even disastrous data loss. Add Reminders for G Suite allows users to receive email reminders before dates in a specific column of your Sheet are reached. Barcode Scanner for Google Sheets for G Suite is a barcode application that uploads do Google Sheet. ChangeCase for G Suite allows user to make changes to the case of text in block selections: uppercase, lowercase, first letter capitals, invert, sentence and title case. Remove Duplicates for G Suite allows users to removes duplicate rows from a Google Sheet. Fit Sync for G Suite allows you to sync your google fit data into a google spreadsheet. Form Publisher is designed to help users turn their form submissions into Docs, Sheets, Slides and PDF. Get English for G Suite retrives the english content of a EN and CN document. Insert Images for G Suite allows users to print images from Google Drive and insert a folder of images into a Google Doc. Keep It Confidential for G Suite is designed to securely share rich text, image or video while keeping it confidential during view or download. QR Code Generator for G Suite creates QR Codes from G Drive folders and items, then inserts them into a Google Doc ready for printing. Superscripter for G Suite is a Google Docs add-on that makes writing super/subscript numbers easy. Track My Words for G Suite tracks words per minute and daily word count in Google Docs automatically. UpSafe for G Suite is designed to protect all of an organizations Google Apps data from expensive and even disastrous data loss. Adallom for G Suite is designed to allow users to govern cloud application usage, secure corporate data and detect suspicious activities for any SaaS application. AMZ VA Copy Helper is a Google Sheets script add-on. Apps Script Power Pack, Cloud Zip for G Suite offers tools tor automating Zip, Google Drive, Docs, Gmail. arrayThis for G Suite copies the formula of the top left-most cell across a range, respecting absolute and relative cell references. 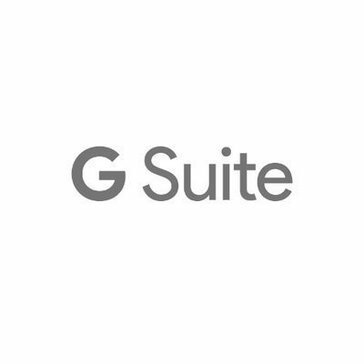 AUTOflow for G Suite is designed to help users process service requests from email. Bulk Resource Calendar Creator for G Suite is designed to help users create G Suite resource calendar in bulk right from Google Sheets. Criptext for G Suite allows users to send encrypted emails, track opens and attach super large files on Gmail. Database Browser for G Suite is designed to make Google Sheet an easier way of browsing databases. Dynamic Fields for G Suite inserts and updates the values of selection fields. Forigotron ToogleBox for G Suite is a service designed to allow admins to search, track and delete email messages in a domain. Fraudmarc App for G Suite is designed to help users manage SPF and DMARC policies for domains that have been added to their account. Gpass for G Suite is designed to allow users to easily managing their logins and other sensitive records. HashText for G Suite allows users to aggregate hash tagged words in Google Doc. JUDS spreadsheet tool for G Suite allows you to get the translation from one sector code to another or to retrieve a relevant international code for a given country from directly within the spreadsheet you are working in. Mail Macher for G Suiteis designed to helps users find emails that take the most of the space in their Gmail account. MapCentia GC2 for G Suite allows users to insert map visualizations in Google Docs. Math Equations allows you to take your typeset languages and convert them to images to use inside of your slideshow including the ability to reload a equation image and make changes and re upload to your presentation. OrganicView for G Suite creates a view showing every change to every version of that Google Doc. Populate Docs for G Suite allows users to automatically fill custom Google Docs templates with data submitted in Google Forms. Preview Markdown for G Suite is designed to allows users to see realtime markdown previews. Puzzle Tools for G Suite is desgned to provide useful formulas, menu items, and side bars to assist in solving a variety of puzzle types. Quick Character for G Suite allows users to add Unicode characters and symbols to a document without needing shortcuts or navigating through menus. Remove Blank Rows for G Suite allows users to easily delete or hide scattered blank rows in a sheet. Reports4DMARC for G Suite processes all DMARC mails in an inbox, uploads the results to a SQL database and analyses this data from within a sheet. Reports for Work for G Suite offers forms to collect, consolidate and report data with Google Sheets. RowingBrasil Functions for G Suite enables functions to aid rowing events to make calculate time, velocity, handicap. Search Commander for G Suite enables working with files, using only search. Search & Summarize Snippets for G Suite allows users to highlight and tag text in a Doc and search and summarize those tags across Google Docs. StratosMedia Export Tool for G Suite allows users to publish the data from Google Sheets to StratosMedia scenes and players. Tissue Sample Plate Mapper for G Suite add-on arranges a collection of samples into an 8 x 12 (96 well) array and creates labeled, hard-copy plate maps for sample collection into a standard, 96-well format rack. Tombo Cloud Notebook for G Suite is a simple online notepad with folder tree structure. Hi there! Can I help you find the best G Suite Utilities solutions?